For most outdoor sports enthusiasts the GoPro action camera is the go-to waterproof action camera, yet the brand comes with a high price tag. Here, we will tell you the best budget GoPro alternative cameras to get the job done and save you significant money. We’ve reviewed the 7 best cheap action cameras and inexpensive GoPro alternatives so you can start shooting great action videos on a budget. Also see our buyer’s guide section, How To Choose The Best Cheap GoPro Alternative Action Camera, for a summary of the most important aspects and specifications to consider when making the inexpensive action camera purchase decision. What Is The Best Budget GoPro Alternative Action Camera? 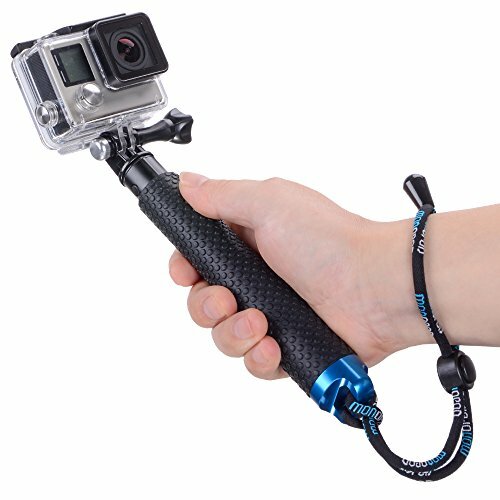 Every 6 months or so a new product entrant from the “GoPro Alternative” category emerges which raises the bar for the competition. Last fall the VanTop Moment 4 was released and began shipping soon thereafter. Its Sony sensor records 4K video with the best frames second (fps) performance we’ve seen. The VanTop moment 4 Sport camera is equipped with 20 MP true depth resolution. And it features 4K/24Fps video recording and 20 MP image capturing. The VanTop Moment 4 sports camera has faster sensors ensuring zero shutter lag with more lighting and shadow details. It has an intuitive IPS ultra-responsive touch screen which is user-friendly. The VanTop Moment 4 action camera soothes your setting, previewing, and shooting experience. Electronic image stabilization (EIS) reduces tremors and stabilizes your frame with a gyroscope when taking picture/video. The EIS technology in this unit is ideal for sports shooting like surfing, skateboarding, skiing, etc., producing sharp images even in poor lighting environment. Using CamKing, a downloadable app with which you can control your camera wirelessly via 2.4 GHz (wifi), you can transfer your work to mobile minutes, and share your wonderful moments instantly. This fantastic, multi-function action camera features multiple functions including video, photo, motion detection, car mode, video lapse, slow motion, photo lapse and burst mode. 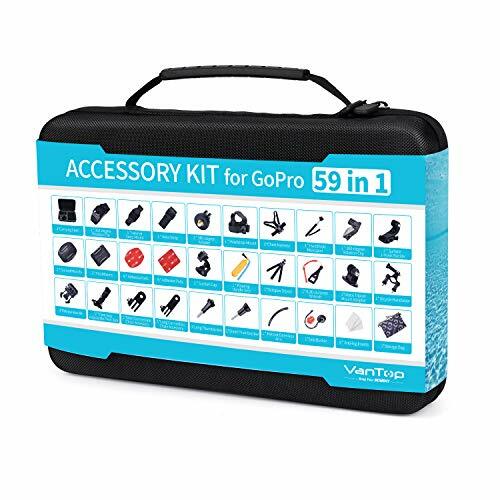 It’s compatibility with GoPro accessories including grips, arms, and tripods allowing you all of the shooting versatility you’d expect in a brand name GoPro camera. The Akaso EK7000 action camera is more than a GoPro knockoff. It’s a competitively-priced versatile GoPro alternative. Its multitude of features and components make this camera our Editor’s Choice in the alternative to GoPro category. The compact build of the EK7000 slightly mimics the GoPro competition. The camera is even compatible with GoPro mounts and many filters. Yet at a fraction of the cost, you get a camera that will blast your action video recording off the ground and might well be all you ever need. The EK7000 action camera has a 12 MP sensor and 170° wide angle lens, perfect for capturing all sorts of sports and activities. You can record 4K Ultra HD video at 25fps, or record at half the resolution of 2.7K with 30 fps. At Full HD, you can shoot at up to 60 fps. In all cases, the video quality is crisp and clear in daylight conditions with smooth results. You can also shoot photos (stills), burst images (continuous shots), or timelapse videos. The Akaso EK700 is available in black, blue and silver and comes in a transparent plastic casing with a built-in mount. A plastic case with IP68 certification waterproofs the camera up to 100 feet (30m) underwater and offers protection in extreme weather. The operation of the mechanical parts is intuitive. For handling the camera features, you have a 2” display as well as a remote. You can connect the EK7000 to a companion smartphone app via WiFi to watch and transfer videos or control the recording. A HDMI and USB port offer further connectivity. Two rechargeable 1,050mAh batteries are part of the package, and each will last for about 90 minutes of recording footage. What else is in the box: a remote control, waterproof case, bicycle stand, seven mounts, two clips, one helmet mount, one bandage, five tethers, a protective backdoor, a USB cable and AC charger as well as a lens cloth. The only thing you need to get started is a high class Micro SD Card. According to Akaso, the camera is compatible with up to 64GB cards, though users report successfully using 128GB cards as well. All in all, the Akaso EK7000 action camera is a GoPro alternative at an entry-level price which allows you to shoot professional outdoor and sports videos and start a YouTube career. The Yi Lite 4K action camera is the best GoPro alternative you can get just below 100 bucks. It’s a variant of the Yi 4K action camera but while cheaper, it still packs a lot of punch. The camera comes with a high quality 16MP Sony IMX206 image sensor and a 6-layer f/2.8 lense with an angle of 150°. Thanks to the brand sensor, the Yi Lite 4K delivers clear and crisp shots, even in lot light conditions. You can shoot 4K videos at a rate of 20 fps. At Full HD, you can record with 60 or 30fps, and at HD you can even go up to 120 fps. Therefore this model is great for creating slow-motion videos. The 9 different recording modes even have a slow-motion setting already. For shooting video, you can choose among normal, picture in video (PIV), slo-mo, time-lapse and loops. You can take normal pictures, burst imagery, and lapse or timer shots. What’s more, electronic image stabilization technology keeps your videos steady even when things start rocking. Handling the camera is a breeze with the 2” touch-display or the bluetooth remote. You can connect the device to a smartphone app via WiFi or transfer your recordings with a USB cable. The battery promises 130 minutes of recording time and recharges through USB. The downside of this action camera is that a protective case is not included. 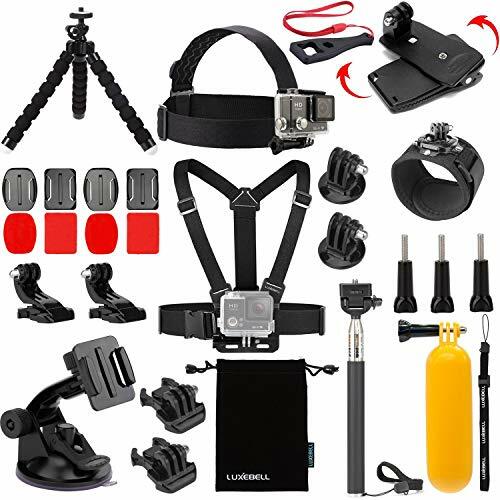 Available accessories are, among others, a waterproof case (up to 132ft), a protective case, a selfie stick, a floating grip, and bike, head or helmet mount. The waterproof case is compatible with GoPro mounts. All need to be purchases separately, bringing the price up. A Micro SD card is also not part of the package. That being said, the Yi Lite 4K action camera enables you to shoot stable, stunning footage at high quality for an incredible price. If you’re willing to spend a little more for high resolution at higher frame rates, the manufacturer also offers the Yi 4K+ model and the Yi 4k camera. The Hiearcool H9R action camera is styled as another cheap GoPro killer and is nearly identical to our top pick. 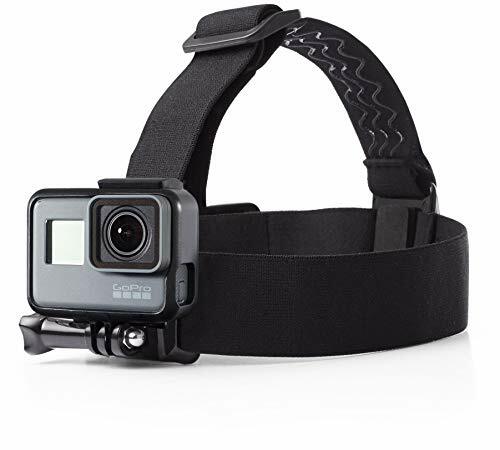 At quite an affordable price, you get a slim and light model that is compatible with the dimensions of the GoPro Hero 4, allowing you to use brand mounts. Not that you need them: this camera sports an 18-in-1 accessory kit with which you can attach the H9R to nearly anything. Equipped with an IP68 waterproofing case, the camera will dive to a 100 feet with you and withstand drops, extreme environments and environmental influences. Thanks to the 2” display and a remote, you can easily control and handle the recording of video, photos, burst imagery and time lapses videos. Sufficient connectivity is ensured with WiFi, allowing you to connect to a smartphone app. HDMI output is also available as well as USB, which is used for charging. Two 1,050mAh batteries are included. Where the Hiearcool H9R action camera is second to the Akaso model above is the video recording: 4K (Ultra HD) resolution is only available at 10fps. But you can shoot Full HD at 30 fps and HD at even 60fps with the high quality 12 MP image sensor. With a wide angle 170° lense, you’re ready to shoot extreme sports and adventures at a very reasonable price. The Apeman 4K action camera is an impressive GoPro alternative at a fraction of the cost of the original. For just $50, you get everything you need to start shooting compelling videos of your activities. There are few rugged cameras that can shoot 4K at this price, and this model delivers: with the 170° wide angle lense, you shoot at 12 MP and record Ultra HD with 25 frames per second. The half-resolution 2.7K is available at 30fps, whereas Full HD yields 60 or 30fps and regular HD allows you to shoot 120 or 60 fps. The video quality is excellent and you can choose among various modes, including time-lapse and burst imagery. Setting up your recording is quick and easy with the 2” display or the remote. You can also pair the camera with your smartphone via WiFi. You can also output through HDMI and transfer via USB. For all your extreme adventures such as diving, surfing or swimming, the included waterproof case allows depths up to 100ft. Two 1,050mAh batteries are part of the deal and give you roughly 90 minutes of recording each. 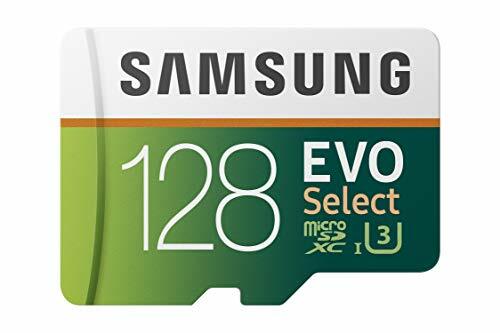 You need to buy a high class Micro SD card separately, and the model is ready for sizes up to 32 GB. The accessories in the box let you mount the camera to pretty much everything, such as helmets, handlebars or your dashboard. The verdict: while many GoPro alternatives out there might deliver even more, you’ll be hard-pressed to find another action camera beat the Apeman’s features at this price. The Tec.Bean 4K action camera pushes the price so low you expect some drawbacks, that’s why its features and accessories are such a positive surprise. Not so long ago, a 16 MP point-and-shoot camera cost a pretty penny; now this model delivers what you could call a “burner” 4K action camera. At 2.3 x 1.6 x 1.1 inches, the camera is tiny and light: with battery installed, it weighs a mere 2 ounces. You can easily hide this model anywhere or attach it to just about anything with the accessories in the box, such as a bike or helmet. The video quality is decent with reasonable detail. An algorithm stabilizes the shot a little, but cannot compromise for heavy shaking. A drawback is the audio quality: the sound is a bit more “tinny” than on higher-priced models. Your recording options are Ultra HD at 30 fps, Full HD at 60fps or 720p at 90 fps. Recording modes feature a time lapse and slow motion option, as well as a drama shot. You can of course take 16MP photos as well. Handling the tiny camera without a touch-display requires fidgeting. However, connectivity is great: there is no remote control, but you can connect to your smartphone via WiFi and setup your shot from a distance that way. Output is also possible via USB and HDMI. 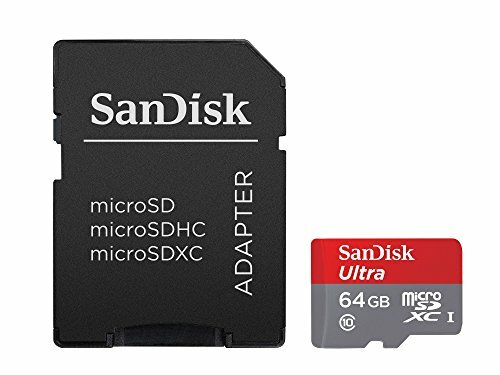 The camera takes a Micro SD card up to 64 GB, which is not included. Two 900mAh batteries allow for just about one hour recording time each. The protective case gives you waterproof shots up to 100 feet. The Tec.Bean 4K action camera is a tiny budget model big in features, ideal for many applications. 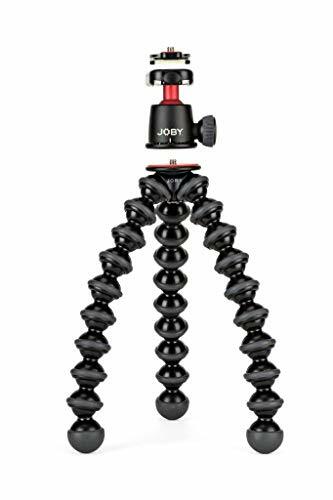 At a price of $35, you can get two and record from different angles or treat it like a throw-away that you can abuse in extreme conditions. The Fitfort 4K action camera is a reliable model with versatile features at a competitive price. Described by many as a GoPro killer for a little more than 50 bucks, the camera delivers sports and action videos in 4K at 25 fps. Half the resolution of 2.7K is available at a steady 30 fps, whereas Full HD lets you choose between 60 and 30 fps and normal HD opens up the possibility of 120 fps. The camera features a 12 MP image sensor and a 170° wide angle lense to capture your moments. Apart from regular photos and videos, available modes include burst imagery, loop and time lapse options. Video quality is satisfactory, though you’ll notice sharpness and smoothness improvements at Full HD with 60 fps compared to the 4K resolution at only 25 fps. The included remote control makes using a mounted camera straightforward, and you can also pair the Fitfort action camera with your smartphone via WiFi and a free app. A HDMI and USB plug allow for quick and easy output of your pictures and videos. Recording and viewing on the camera is also possible with the integrated display. The IP68 certified waterproof case protects the camera and is fit for depths up to 100ft. The camera takes Micro SD cards up to 32GB. A card is not included, but you receive two 1,050mAh batteries. Each will give you about 90 minutes of recording time. Plenty of mounting accessories in the box make sure you’re ready to go exploring with your camera: a bicycle stand, clips, helmet bounds, tether, bandages etc. are part of the deal. A USB cable for charging and a lense cloth round out the package. The Fitfort 4K action camera is another model that proves you can get a reasonable GoPro alternative for less than $100. Action cameras are small, lightweight, rugged and portable devices designed to record video under extreme conditions, often while worn or mounted. Attached to a helmet, your body, or even your pet, they’re ideal for documenting your outdoor adventures from biking, kayaking, and surfing to climbing, diving or paragliding. When picking an action camera, consider what you’re looking for. In terms of video, pay attention to the frame rate (fps for frames per second), resolution and quality. Most GoPro alternatives shoot in 4K with 30fps. For slow-motion effects, you’ll need more. GoPro similar cameras mimic the features, specifications and even form factor of the branded GoPro products. The top-rated alternative to GoPro cameras will add bonus features and accessories to their package, while delivering the final product at a fraction of the industry-dominant GoPro. Some models offer image stabilisation, which is great for bumpy situations. Size, weight and mounting options might influence your choice. Most models are waterproof, but depth may range from a few feet to suitability for diving. Further extras are control options, accessories and connectivity, such as a companion app or WiFi. After our selection of the best budget action cameras, we’ll go into more details on how to pick the features right for you. Action cameras have been made popular by GoPro and are associated with rugged, durable devices for recording extreme sports and activities. But today you no longer need to shell out for the brand name to get a small, lightweight and reliable camera that allows you to get creative with recording where a smartphone or traditional camera would fail you. In order for you to choose the best GoPro alternative, we’ll explain the key features which you should look at when deciding. The range of GoPro cameras starts above $150 and goes up to $400 and more. Our selection above shows that reasonable and cheap GoPro alternatives are available at a fraction of the cost. So it possible to get all the features you need and still find the right action camera cheap? We put the focus on models below $100, and with the exception of the Yi Lite camera, for that price you get everything you need (minus a memory card) to start shooting, even underwater. In the lower price range, you’ll have to accept less features. These models use cheaper image sensors and work better at Full HD than at 4K. The Tec.Bean camera is available at an incredible price but comes without a remote. As you are researching the best cheap action camera remember that a low price not only gives you budget options for shooting video, you can also consider getting more than one camera to record from multiple angles. Another upside of a low-priced model is that any case of theft, loss or damage will make less of a dent in your overall budget. The main feature of any action camera is shooting video of your adventures. While you may be thinking of the units we reviewed as “off brand GoPro entrants”, keep in mind that their recording quality and performance rivals even the latest models from GoPro. At a higher resolution, you have more image information in each frame – but this comes at the cost of a lower frame rate, typically 20, 25 or 30 fps for action cameras. A cinematic movie has 24 frames per second, so as long as you stay above that frame rate, things play out normally for the viewer. However, that is at “normal” speeds. When shooting action scenes, things might get hectic and rapid. Shooting at a low frame rate, objects can be too quick for a camera. The result is a “choppy” or skipping video where objects seem to jump forward rather than move smoothly. To counter this, you record at a higher frame rate and lower resolution. For most action scenes, Full HD at 60fps is perfectly fine. If you want to create slow motion videos, you definitely need a high frame rate of 60 fps or even 120 fps. A camera with a wide range of resolution and frame rate options gives you more flexibility. Many come with a built-in slow motion mode, but if you record with a high frame rate, you can also create slo-mo effects in editing with a software. Image quality depends a lot on light conditions and camera steadiness. Action cameras operate best in daylight or bright artificial light. In a low light environment, you will eventually lose contrast and definition with hazy or grainy results. The higher-priced GoPro alternatives such as the Akaso EK7000 and the Yi Lite 4K camera deliver better results due to their higher quality image sensors. The cheaper the model, the lower the grade of the image sensor will be, which makes less of a difference in normal conditions but will be more pronounced as light begins to fade. Action cameras also use some image stabilization method to deliver a smoother video even as things get shaky. The Yi Lite model has proper EIS (electronic image stabilization with a chip), whereas other models use algorithmic stabilization. The Yi Lite therefore delivers the most steady image, followed by the Akaso EK7000 and the Apeman 4K camera. Keep in mind that not even GoPro uses image stabilization on all their models. Recording audio is not the strength of action cameras. They feature a built-in microphone, of course, but none of the models above have the option of connecting an external microphone. The cameras similar to GoPro reviewed in this article have audio specifications and quality similar to that of GoPro models. The quality is generally acceptable, with the Tec.Bean camera clearly showing the weakest audio component. Given the fact outdoor and sports videos are shot mainly for stunning video footage and effects and not for audio, you need not worry too much about recording sounds. Underwater shots, surf compilations, flying, jumping, or climbing as well as time lapse and slow motion videos all work well with the right kind of music, so consider audio as something you’ll also address in editing. Any action camera typically uses a wide angle lense with a focal length substantially smaller than the focal length of a regular point-and-shoot camera. This allows the camera to include more of the scene in the recording without you having to distance the camera further from what is happening. The angle that camera manufacturers feature in their product descriptions refers to the field of view, and it might range between 120° and 170°. The latter is roughly equivalent to the human field of view. For GoPro cameras and alternatives, 170° is a de facto standard, with some models offering less due to a smaller image sensor. Such a wide angle does create a fisheye effect, which you’ll notice as the curving of horizontal lines as they near the edge of the frame. This can be cropped or edited when you process your video, while some cameras include a recording setting where you can narrow the angle. However, the focal length of the cameras is fixed, they simply crop the image as well by discarding data at the edge. If you want to shoot an immersive experience in 360° at a budget, you need to look at the Rivio 360 action camera or the Andoer A360II camera. To record in extreme weather conditions such as a torrential downpour or while swimming, surfing, diving or enjoying any other water sport, you need to waterproof your action camera. The manufacturers achieve this with an external case in which you place the camera, kind of like a clear plastic cage. This improves the ruggedness and durability and allows you to dive to depths of up to a hundred feet. In the cameras like GoPro but cheaper that we’ve reviewed herein, the case is as high quality and watertight as the GoPro brand cameras. With the exception of the Yi Lite camera, all models include the case already. For handling initial setup, changing settings, formatting an SD card or previewing recordings, most action cameras feature a 2” display. Some models come with a touch-display that makes it more comfortable to browse through the on-screen menus. However, recording is much more convenient when you remotely control the device. Only the Tec.Bean budget model doesn’t come with a remote control, but all reviewed cameras allow you to pair your smartphone with the device and assume control through an app. Using a WiFi connection, you can also transfer recordings to your mobile device that way. For your convenience, a mini HDMI output and USB plug are also ubiquitous. The Yi Lite is the only reviewed camera with Bluetooth 4.1 connectivity. It turns out that the makers of cheap GoPro alternatives are generous with accessories: four of five models above come with a complete set of clips and mounts which allow you to attach your action camera to nearly everything. For the Yi Lite, you have to purchase these separately, but same as Akaso, the manufacturer made their cases compatible with GoPro mounts, giving you more flexibility in what to get and use. In action videos, people typically record their activities from their perspective, which means a head or helmet mount, a camera on the handlebars or on the dashboard – or worn on the body. Also, consider that GoPros and these alternatives we’ve reviewed can be mounted on drones. For more info about choosing a drone see this related articles: How To Choose The Best Drone For You. For putting yourself in the frame, you need to fix the camera to a selfie stick or place it somewhere around you. Straps and clips even enable you to fix a camera to a pet’s harness. To wrap up our review of the best cheap GoPro alternatives: action cameras are popular and become more and more accessible as electronics get smaller and cheaper. Our selection shows that shooting action videos like a pro is quite affordable, while entry-level prices don’t have to equal compromises in quality. Begin your choice by defining the environment in which you’ll be shooting and how fast-paced your activities will be, then select according to what video quality and features you require. Thanks for reading The 6 Best Cheap GoPro Alternative Action Cameras. We hope that our research and analysis helps you top find the best alternative to GoPro for your needs. Why is it so danged hard to find an “action” camera WITHOUT THE IDIOTIC WIDE ANGLE LENS???? Every one I look at here says WIDE ANGLE. I have a basic gopro hero. Over all it’s great. EXCEPT everything I shoot ends up looking like I’m miles away from it. And sick of horizon lines all being curved. 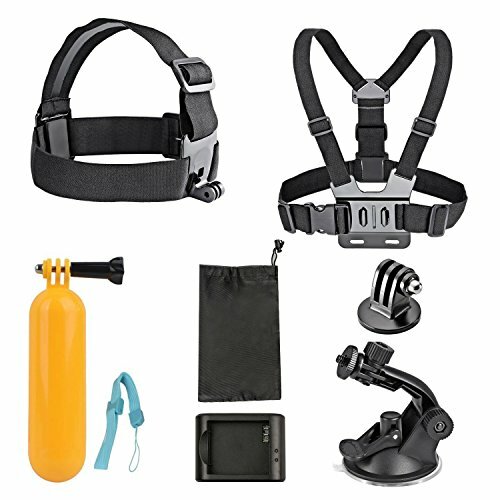 Can you or anyone PLEASE suggest a good, reasonable camera that I can attach to my dive mask and has a NORMAL LENS? I had a pretty good underwater camera once off amazon, but no way to attach it to anything. It ended up taking in water after I kept stuffing it in my swim suit just so I could swim without a camera in my hand. My mask mount is awesome but I’m stuck with the wide angle unless I want to drop nearly 400.00 on a hero 6. My bottom of seat mount has the camera upside down, do any of these cameras have a flip video option as the Go Pro does? I do not want to have to use software to do this but rather it be taken right side up even if the cam is mounted upside down. Mario, all of the cameras reviewed by Outside Pursuits mimic the functionality of the GoPro including the 180 degree flip which does, as you state, occur in software. The camera has a physical upright mount as the mount point is always on the bottom of the waterproof case and located at the bottom of the camera’s body.